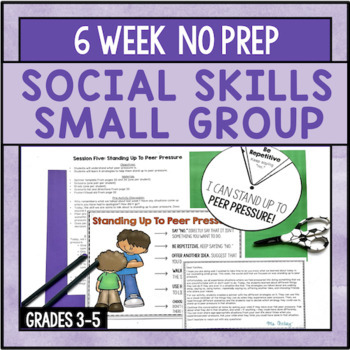 This social skills small group plan will help your students learn important social skills such as finding things in common with others, being a good friend, perspective taking, apologizing, standing up to peer pressure, and giving effective compliments. 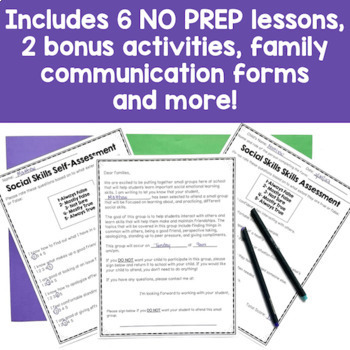 This resource includes 6 NO PREP sessions that include a detailed lesson plan with objectives, discussion points and activities. There is also a survey to measure growth and two bonus activities. 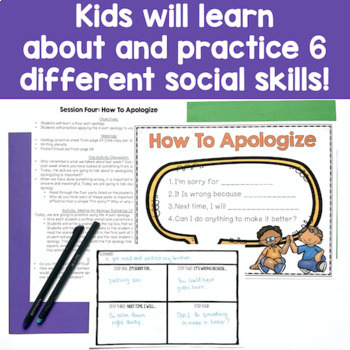 This resource is part of a social skills small group bundle! Click here to save 20%! Session Two – What Is A Good Friend? 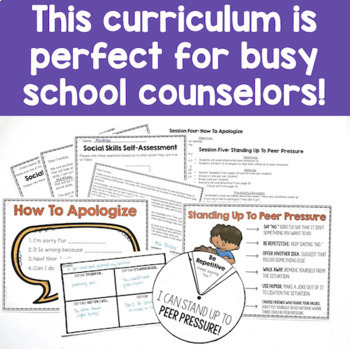 A poster/visual aid to use during the lesson or to display in your classroom or office. For more information, please see the preview. Please remember to leave feedback and check out some of my other products you are sure to love!